GM unveiled the Cruze Diesel at the 2013 Chicago Auto show, marking a historical date as the first domestic diesel to hit the US market in over 25 years. With many years of Diesel experience overseas coupled with Diesel’s almost legendary reliability, it’s about time we saw something new stateside, and this is big. Very big. This car could single-handedly change the landscape of the US automotive industry. The only competition the Cruze Diesel has in the US is the Jetta TDI, which in the last few years has been suffering from catastrophic fuel pump failures resulting in repairs exceeding $7,000. Sure, VW is covering the cost of the repairs…for now, but it’s becoming clear that the Volkswagen’s TDI was not really designed for the quality of Diesel fuel we have available in the US, and that the market is showing a demand for a Diesel. What better of a car to introduce it in. Forget everything you know about black clouds of smoke and old wive’s tales of the past; this is 2013 and technology has improved significantly. You may have noticed that GM calls this a “Clean Diesel.” To some, that might sound like an oxymoron, but there’s more to it. The Chevy Cruze Diesel’s exhaust gasses are odorless, colorless, and cleaner burning than that of a comparable gasoline engine. Don’t believe me? Look down the tailpipe of a Cruze Diesel when they hit dealerships. After even thousands of miles of driving, you’ll still see a shiny metal surface on the inside of the tailpipe, not the black charred and carbon-coated exhaust you’re used to seeing in gas cars. Diesel has come a long way. The Chevy Cruze Clean Diesel produces up to 25% less CO2 emissions than comparable gasoline vehicles by utilizing a new and more effective fuel injection method. The current estimate given to me by GM is 42MPG US. I’ve been asked before, “but doesn’t the current Cruze Eco get 42MPG too?” Well, yes, but that’s done only with a manual transmission with three tall overdrive gears. The Cruze Diesel is estimated at 42MPG with an automatic transmission, and no hybrid batteries. Unlike the Cruze Eco with a 12.6 gallon tank, the Cruze Diesel has a 15.6 gallon tank, allowing you to go 655 miles on one tank of gas (should you drive it till it’s empty). Compare this to the 14.5 gallon tank on the Jetta TDI. Considering the Cruze Eco manual and automatic both achieve better than EPA ratings in real-world testing, I wouldn’t be surprised to see drivers achieving 45-50mpg and going 700-780 miles on a tank of gas. Keep in mind, unlike some auto manufacturers, GM’s EPA fuel economy reporting is pretty accurate. The Cruze Diesel achieves these fuel economy numbers using the inherent efficiency in Diesel engines as well as an Aero package found on the Cruze Eco. In addition, GM took this car back to the wind tunnel and made additional enhancements to further reduce the coefficient of drag; features they noted they will be incorporated in the Cruze Eco in future model years. One thing I’m finding that most people don’t have a good understanding of is performance. The most discussed performance metric in automotive groups is horsepower. There is a lack of understanding of what torque is or how it affects the way a car drives. Some people have said that horsepower refers to how fast you’re going when you hit a wall, while torque refers to how far you move the wall once you hit it. I’d say there’s some truth to that, but let me present some examples to drive the point home. Take the Scion FR-S and the Chevy Cruze (1.4L Turbo) for example. The FR-S makes 200HP at 7000RPM and 151LB-FT of torque at 6,600RPM. 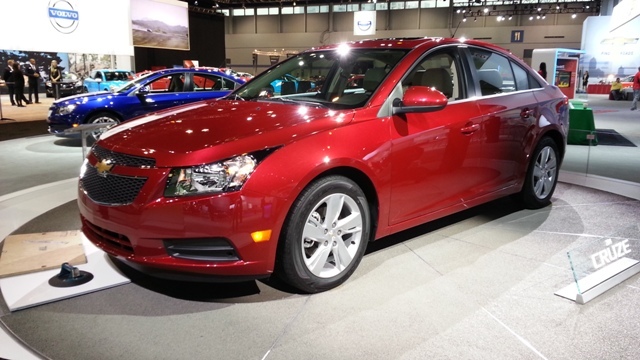 The Cruze makes 138HP at 4900RPM and 148LB-FT of torque at 1850RPM. The key here is the RPM at which the engine makes its peak torque and the way it affects the way the car drives. Cars like the Scion FR-S and Civic Si are great if you want to race on a 1/4 mile track or around a circuit, but it’s not exactly ideal to have to wind up the engine to get a usable amount of power. Compare this to the Cruze 1.4L Turbo, which provides maximum torque at 1850RPM. Having this much torque at that low of an RPM means you get the power you want, when you want it, without having to downshift excessively and wind up the engine to a high RPM. This is far more usable when taking off from a stop light or passing someone on the highway. The 1.4L Turbo feels more like a V6 around town, but it’s not at all suitable for racing as the power curve begins to fall flat in higher RPMs. Now, let’s throw in the Cruze Diesel. 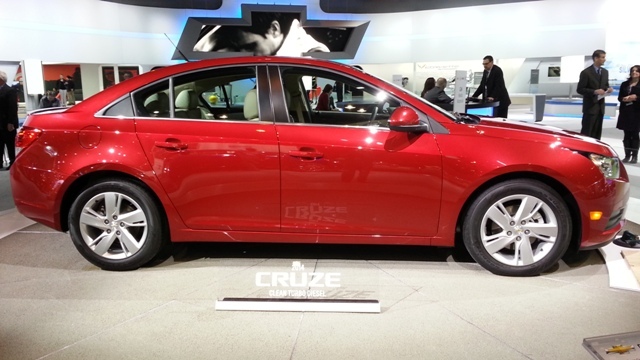 The Cruze Diesel is estimated to produce 148HP at 4000RPM and 258LB-FT at 2000RPM. In addition, the engine has an “overboost” feature which increases turbo boost and torque to 280LB-FT for up to 10 seconds. What this means for the daily driver is that you have a massive surge of torque exactly when you want it. If you’re on the highway cruising along in 6th gear, you can punch the throttle and the car will surge forward without needing to downshift or rev up to nearly redline. The power is instantly available. This ability to have lots of power at lower RPMs on demand is far more practical for daily driving than needing to wind up an engine to high RPMs to get the power you want. Unfortunately, there’s only so much I can describe about it; it’s something you have to experience to understand. Think back to V8 engines made in the 70s and 80s and being able to floor the throttle and have an instant surge of power. That’s what driving a diesel with lots of low-RPM torque is like. One thing to keep in mind when comparing power numbers is that GM is very strict on their performance ratings. Not only do they test their cars based on an SAE Certification, but they also have a 3rd party come out as an eye-witness to ensure that the testing was performed correctly. This results in power figures that are guaranteed to perform, and are almost always underrated. Unfortunately, without pointing fingers, I’d like to note that not all companies are on board with this method of testing and verification. Drive some of the Cruze’s competitors and you’ll see what I mean. GM doesn’t fudge their performance ratings. On a related note, I’d like to point out that GM has chosen the Aisin-Warner AF40-6 automatic transmission for the Cruze Diesel. Aisin transmissions are very highly regarded in enthusiast circles due to outstanding reliability. The Chevrolet Cruze Diesel will be hitting dealerships with a $25,695 MSRP price tag. Keeping in mind that the Jetta TDI is the Cruze Diesel’s only competitor, I’d like to point out that a feature-matched Jetta TDI would cost $695 more than a Cruze Diesel. What does all this get you? In short, a Cruze 2LT, with Eco aerodynamic improvements, a Diesel engine, and one other enhancement you’ll find further down in this article. You get leather seats (not leatherette), a MyLink radio system, Cruze’s safety package, a 6-way driver power seat, 4-wheel disc brakes, LRR tires on 17″ alloys, and a 5 year, 100,000 mile warranty, just to name a few highlights. This may be one of the most important parts of this article. There are a few specific maintenance items to be aware of when considering the purchase of a Cruze Diesel. Timing Belt. 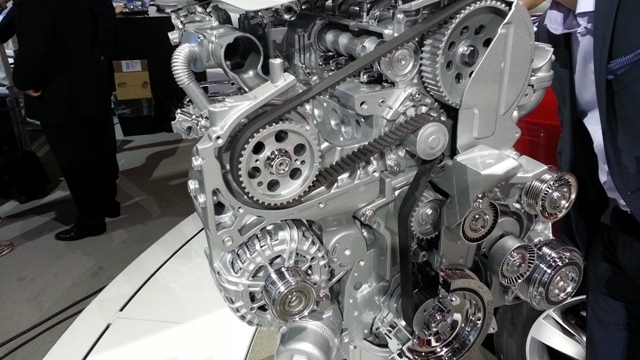 Unlike the 1.4L Turbo, which has a timing chain, the Cruse Diesel will feature a reinforced, heavy duty timing belt. Both the timing belt and the tensioner are serviceable at 100,000 mile intervals. DEF/Urea Injection. This is an additive used to reduce emissions in Diesel vehicles. In place of the spare tire in the trunk is a 17L (~4.5 Gallon) DEF tank. It is designed to last a minimum of 10,000 miles. It is worth noting that GM has put together a rather ingenious system for discouraging people from neglecting this system. Not only does the system detect DEF concentration to prevent owners from diluting it with water, but should you run empty for too long, GM’s inducement strategy will kick in and the car will electronically limit your car’s maximum speed, while gradually lowering that limit based on how long you try to drive it with an empty DEF tank. If you attempt to drive the car long enough with an empty DEF tank, the car will eventually limit you to as low as 5 or 10 MPH. Expect this technology on all future Diesels in the US. Water separation. The Cruze has a very effective water separation system that accumulates into a tank underneath the car in the engine bay. A sensor is located inside this tank that reports a filled percentage similar to an oil life monitor. This will need to be periodically drained in order for the water separation system to function. Fuel Injectors. While everyone’s mileage will change, GM expects fuel injectors to last at least 200,000 miles, after which a replacement will be necessary. Fortunately, the injectors can be replaced fairly easily, involving a procedure similar to the replacement of spark plugs on the 1.4L Turbo and 1.8L engines. B20 Diesel. The Cruze can run up to B20 diesel. It will not run on B100 Biodiesel. It is worth noting that this engine does not use the same Bosch fuel pump that has been causing havoc in Volkswagen’s TDI engines. The fuel pump for the Cruze Diesel is driven off of the timing belt and runs at 1600 bar. There are a few tidbits of information you might also be interested in knowing. 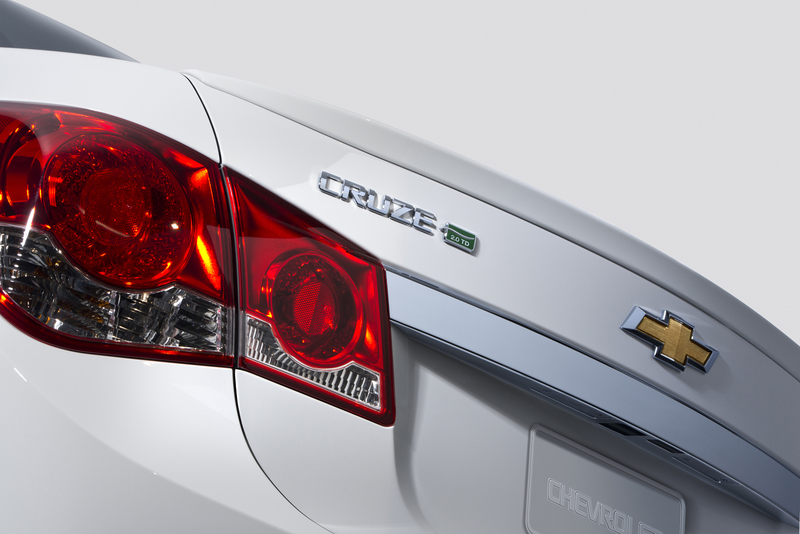 To start, the Cruze Diesel is to GM more of a flagship model and not really an economy model. 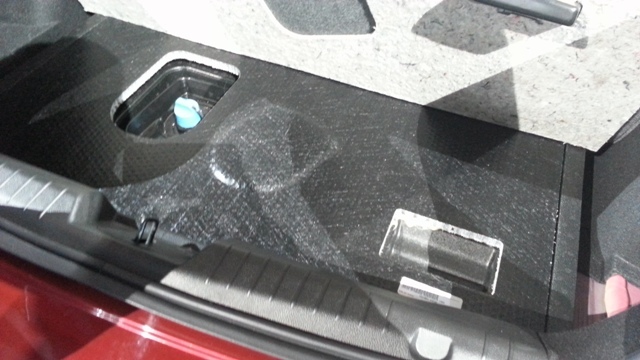 For this purpose, they’ve taken extra measures to make the cabin quieter than even the Cruze LTZ. While this was not explicitly stated (so don’t quote me), my conversations with GM hinted at a level of noise reduction that is up to, if not as quiet as the Buick Verano. The turbo is significantly larger than that on the 1.4L Turbo, and is only oil cooled. However, don’t fret, as you won’t be required to leave your car running after coming to a stop to prevent the oil from burning inside the turbo. The turbo simply does not get hot enough to require this. The engine has an oil cooler that is cooled by the car’s antifreeze to assist with cooling the turbo, as well as piston cooling jets to aid in protecting the pistons. 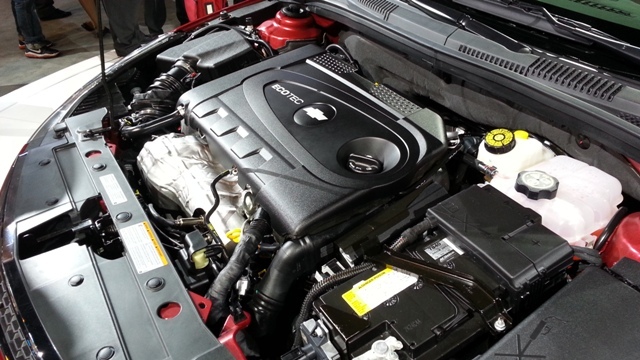 The Cruze Diesel’s 2.0L Turbo engine is a global engine, developed across three powertrain facilities located in Torino, Italy, Pontiac, Michigan, and Ruesselsheim, Germany. GM utilized Diesel expertise from their Torino and Ruesselsheim facilities to produce a world-class engine. Torino was responsible for the leadership and base engine development. The engines will be manufactured in Kaiserslautern, Germany. High-strength aluminum pistons with a reinforced top ring and integrated combustion chamber with a 16.5:1 compression ratio. 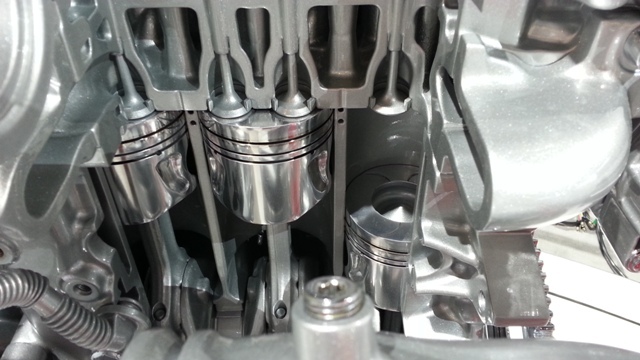 Common-rail fuel system with Piezo injectors that create multiple injections per combustion. Variable-nozzle turbocharger that enhances the engine’s torque, improving low RPM torque and high-RPM horsepower. Variable displacement oil pump to reduce friction and improve fuel economy. Ceramic glow plugs for better cold-start performance over metal glow plugs. Suspension consists of front MacPherson struts and a rear Z-Link design. Enjoyed this article? Don’t forget to like, tweet, or share this with your friends using the buttons below! Featured image and stock image are © GM Co. and used under Creative Commons 3.0 License. I had originally mentioned through some documentation I was given that a tax credit of up to $3,400 is available for the Cruze Diesel. I have recently retracted that statement, pending verification.